Sadhguru explains the science behind temple-building in India. In ancient times, temples were built as energy centers which reverberated with a powerful field of energy and were not intended as places of prayer. 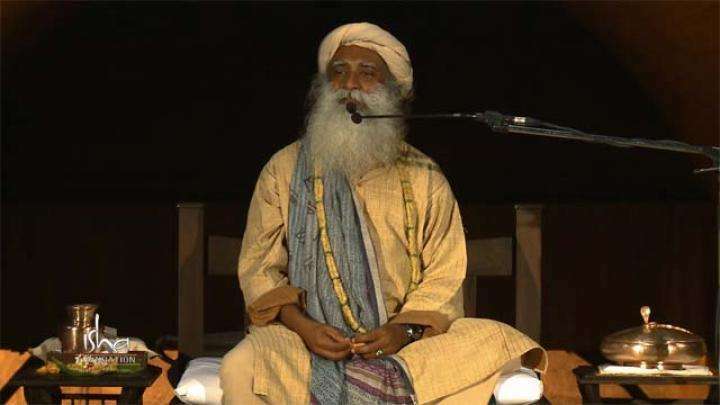 In this video, Sadhguru explains the science behind temple-building in India. In ancient times, temples were built as energy centers which reverberated with a powerful field of energy and were not intended as places of prayer. It was customary for people to visit the temples in the morning and spend some time there so that they may imbibe the energy before they go about their day. This was seen as a necessary preparation for a person to maintain a pleasant atmosphere within themselves throughout the day. 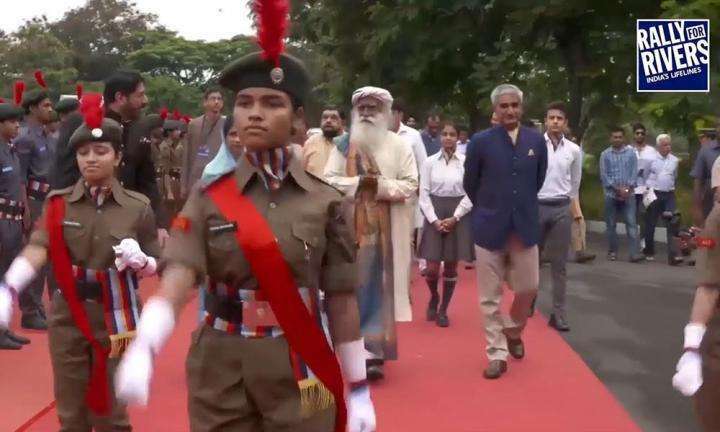 Sadhguru: The ancient temples in India, if you are really talking about ancient temples, yes, the temples were built to a certain science called Agama. You have heard of Agama? There are five basic parameters with which the temple was built. If the temple is built according to that – the size and shape of the temple, the size and shape of the parikrama, the size and shape of the garbhagraha or the sanctum, the size and shape of the idol, the Mudra that the idol holds, the mantras that are used to consecrate this if all these things are properly matched it will create a tremendous field of energy. You need to understand Indian temple is not a place of prayer. There is nobody leading a prayer in the Indian temple. The Hindu temples, there is nobody to lead your prayer. You go there and do what you want. Nobody telling you, ‘You must sit down and pray and do this or that.’ Though now you started the request chit. Paying five rupees and telling God what he should do, you started that recently. Otherwise your culture told you, if you go to the temple, they did not even tell, ‘you must pray,’ but they told you, ‘You must sit there for some time.’ Is that so? Still exists in South India; in North it is gone. In South India, still families are aware that if you go to the temple, you must sit there for a while. Now you just touch your bottom, and go away. Touch your bottom to the floor and go away. Or you sit there and discuss your neighbor or the cinema or something else. The idea was if there is a strong field of energy, you simply sit there quietly and imbibe this. So, the culture told you, ‘First thing in the morning you have a shower, go sit in the temple, then go out and do… do your business.’ Because once you step into the world, whatever kind of transaction you do, ‘my profit is your loss, your loss is my profit,’ this is how it is, isn’t it? Yes? Every transaction is like this. Isn’t it so? So when you transact like this, you tend to get worked up because somewhere you’re losing, somewhere you’re gaining. One day, may… losses may be more than the gains. It is not just in terms of money; in every relationship transaction also there is loss and gain. Isn’t it so? Yes? So you could get worked up. So morning you go and imbibe this and go into the world, so that you pass through the world smoothly. At the same time, it was also said people on the spiritual path need not go to the temple. Nowhere else in the world such wisdom exists. Do you know this? People on the spiritual path need not go to the temple. The Indian temple does not look forward to people on the spiritual path because they have their own self charging methods. This is a public charging place. Public battery charging place is what a temple is; now you invented your own self charging method, no need to go to the public place. You are from Tiripur? No. So if you live in Tiripur, you have to go to the public tap to get your water. Now you got your own tap in the house, now you are not going to go and stand in the queue there, isn’t it? That’s all the difference is. That’s a very wise way of conducting things. But now you’re building the temples just the way you’re building your shopping complexes, probably for the same purpose. That is a different game all together. About the lingas in the temple just some time ago, usually I don’t go to the temples unless they are of architectural importance. I never go to the temple because I have nothing to seek in a temple. I got self charging systems. There is nothing that temple can add to me in any way, so I don’t go. I don’t even go to this one. I just created it for people. Once in a way, when something is happening, I go; otherwise I don’t. So, sometime ago when I was in Himalayas, I just went to this Uttarkashi temple. Oh my God! This lingam, you must see. It is bursting with energy. Two thousand two hundred and fifty years old. It is like it was done yesterday. It is bursting with energy. You must just go there and see. Just the presence is so fantastic. Dhyanalinga is also like that but that is unidimensional linga, so it is more aggressive. This happens in subtle way because it’s multidimensional. It is much more subtle but there it is very very unidimensional and strong. 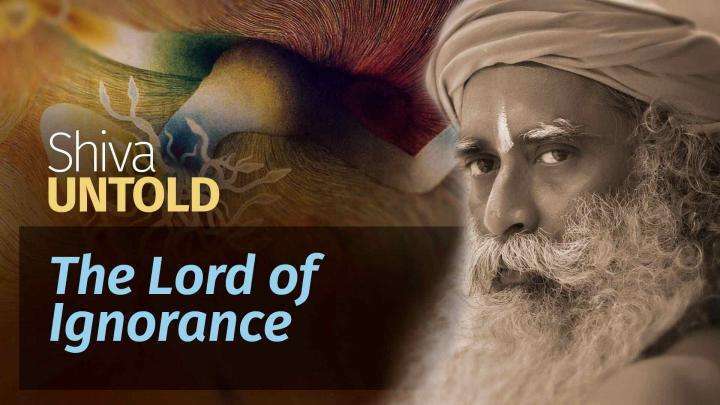 Sadhguru explains, only when one explores his ignorance, knowledge can be born.